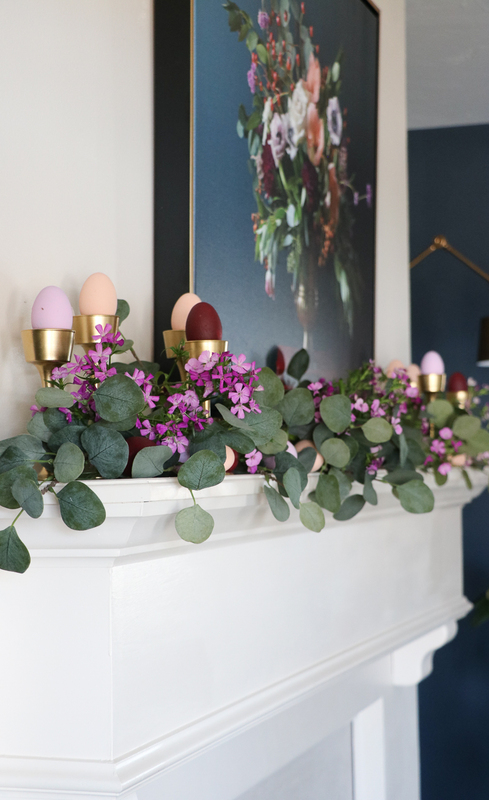 Elegant Spring Mantel - Sincerely, Sara D.
I am SO ready for spring, and I am excited to be participating in a large blog hop and sharing our spring mantels. 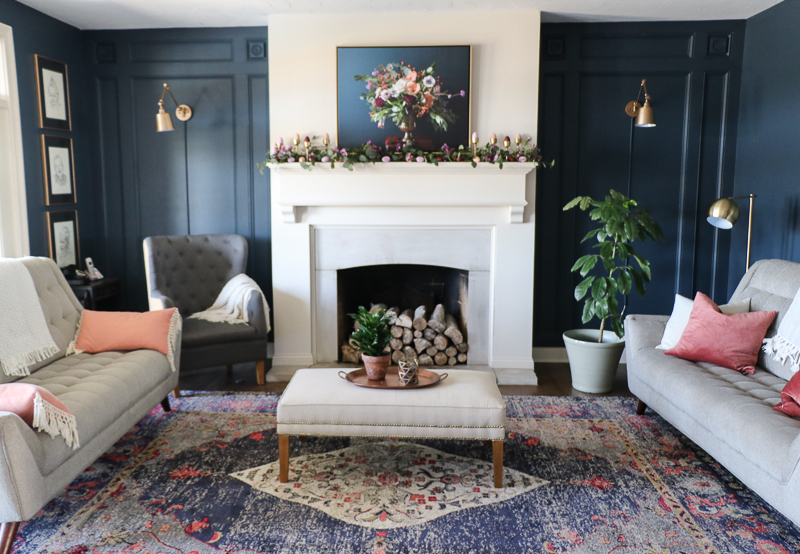 Last year, I updated our living room and added dark navy walls and a moody floral. My normal Easter decor didn’t quite fit in the space anymore, so I created new decor, DIY style! Next, I painted my eggs to match my decor. I have floral art hanging above my fireplace, and I selected three colors from the photograph (I ended up replaced the metallic bronze color with a pale lavender but forgot to update the photo). 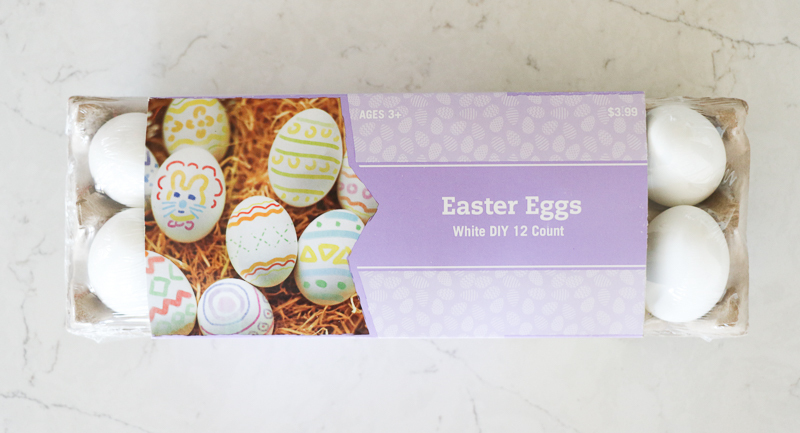 I found some DIY easter eggs at Walmart, and I painted 24 eggs using acrylic paint. My candlesticks are clear glass candlesticks I found at The Dollar Tree and painted gold (I used them last fall in my Give Thanks tablescape which you can see HERE). Then I added some pretty little lavender flowers I found at Trader Joes, and my spring mantel was complete! 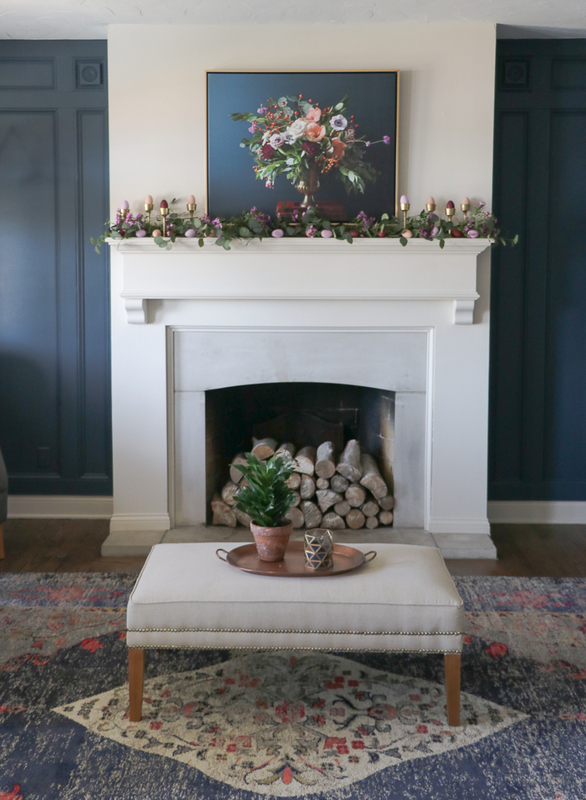 The mantel decor is elegant yet simple – just what I like! My six-year-old daughter doesn’t love the color scheme since it doesn’t look Easter enough, but it is perfect for now. I absolutely love this, Sara! It’s so elegant and cheerful, perfect for spring. I adore the floral painting too, so beautiful! Such a beautiful room and mantel, Sara. Love the navy walls and moody floral. 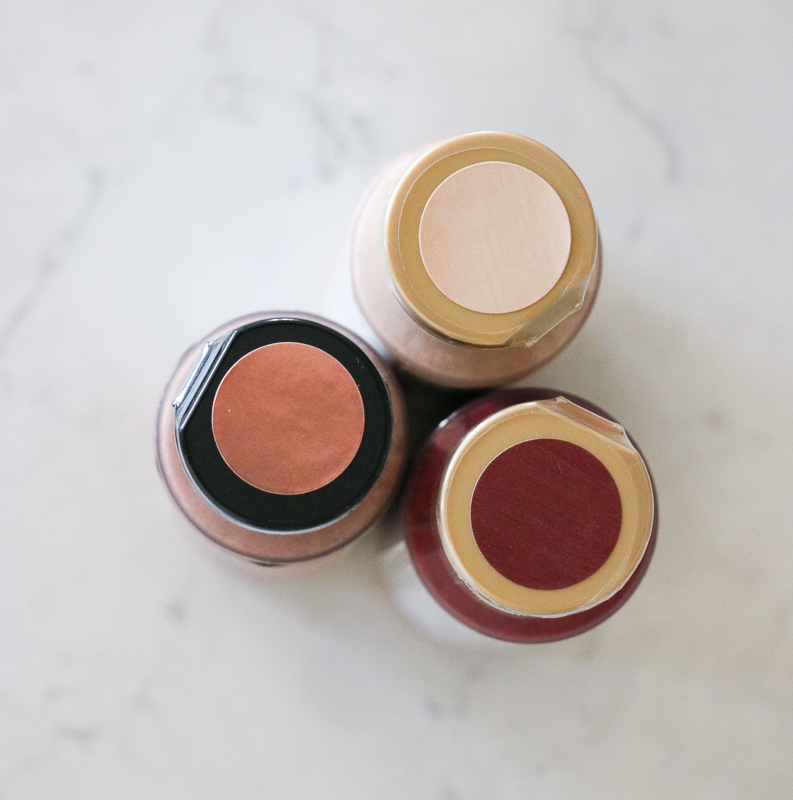 You chose the perfect color for the eggs! So beautiful and full of character! 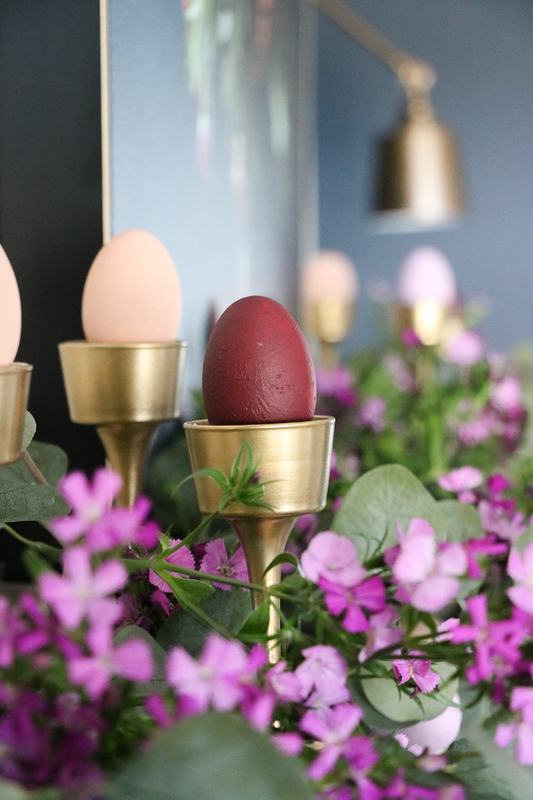 I love the DIY eggs and eucalyptus leaves. So glad you could join in on this hop, Sara!